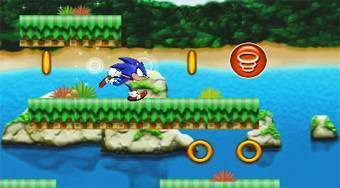 Do you like Sonic Runner? Share it with your friends. Run with the Sonic hedgehog across the board, overcome the obstacles, collect the rings, and reach the finish line.